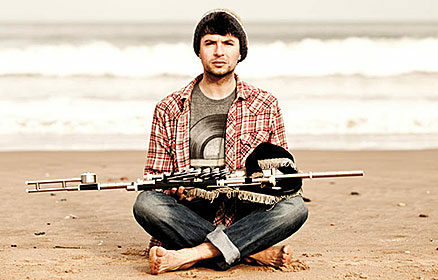 Jarlath Henderson is a wildly inventive multi-instrumentalist and masterful balladeer from Northern Ireland who is best known as a remarkable player of uilleann pipes and whistles. The three-time ‘All-¬¬Ireland Champion’ piper revives traditional songs, like murder ballads and love songs with a somber intensity and sublime original arrangements. He will be joined by Pablo Lafuente on guitar and Hamish Napier on keys and flute.